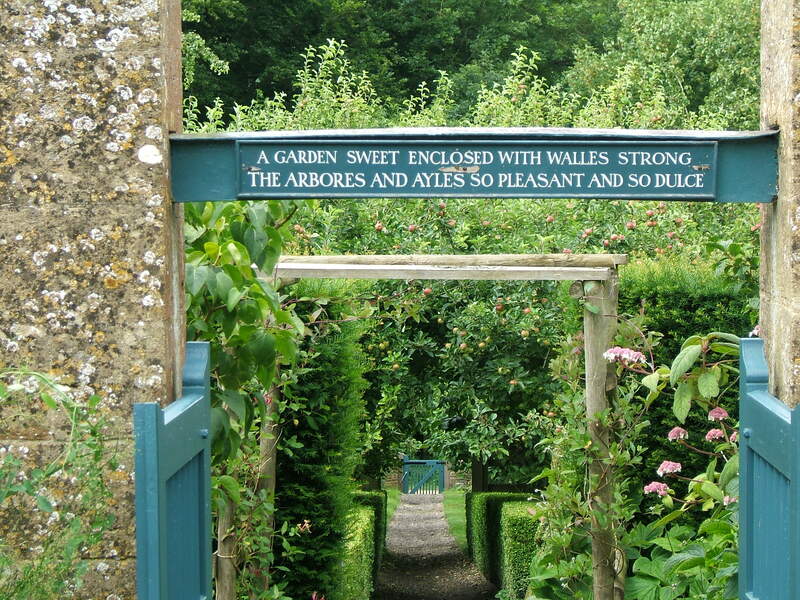 A garden sweet enclosed with walles strong. 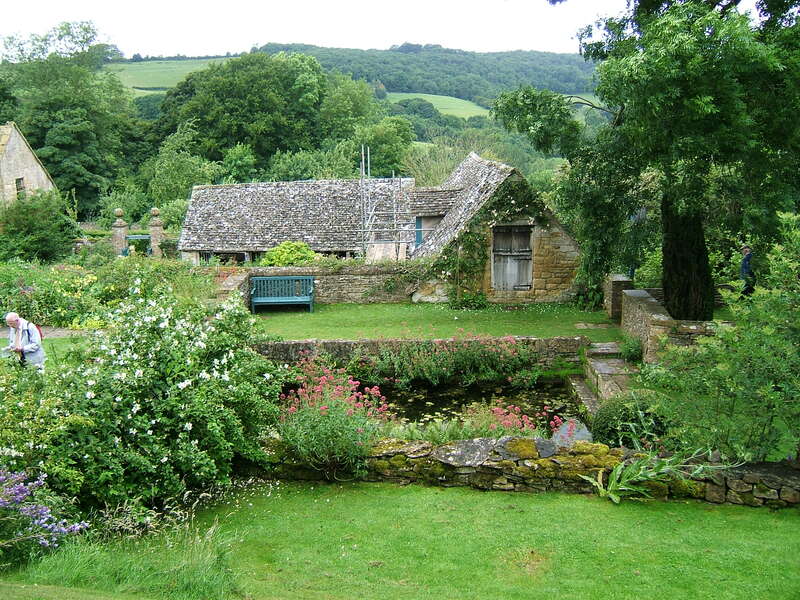 Snowshill – hidden inside a fold in the English Cotswolds – is a sixteenth century manor house, which was inhabited from the 1920s onwards by Charles Paget Wade, an architect, artist-craftsman and poet. ‘Let Nothing Perish, was the motto of this passionate collector who filled the house with objects that illustrated the pleasure of both the extraordinary and the ordinary. Yet it is the garden that finds its way beneath your skin; a delicately balanced arrangement of outdoor rooms designed by Wade in collaboration with Arts and Crafts architect M.H.Baille. To go here is to experience something you might never forget. Further down the valley pieces of garden had broken loose from the hill and fallen into a depression at the base of the slope. I could see fragments of it, an ancient tree hugging a younger sibling, a troupe of dusty pink valerian poking out from beneath a collapsed peony. A path eked away into blue distance. I moved though the doorway; then stopped. Someone had made an elysium. Someone had gathered up the loveliest plants in the land, sifted through them, and laid them out as a garden of unimaginable beauty. I suspected I saw an invisible hand arranging the simmering brew of colour that drifted across the ground. From our new vantage point we looked down upon a cluster of little garden rooms at the bottom of the hill, exposed to the weather and connected like the remains of a ruined house. Grass carpeted the floor, rain-bleached benches sat empty at the base of buttresses wallpapered with ivy and columns of yew held up the sky. A mockorange flower nudged my arm, begging to be sniffed. Breathing in a large lungful of garden air, I set off down the slope. Dotty followed; neither of us spoke. Intimacy arrived fast. Leaves rubbed the undersides of my hands as I hurried down the path, the steps seemed to fit my feet and chickweed seeds clung to my sleeves like sticky crumbs. Walking more slowly, I squeezed down a narrow corridor of delphiniums and admired a distant church that had jumped into view. Finally I stroked my hand across the back of a clipped yew ball, feeling an earthy happiness. “Like it, darling?” Dotty’s voice was close.